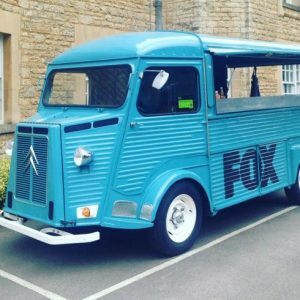 Our street food trucks are available to dry hire empty (without street food) or branded and wrapped for private events, corporate events, launches, brand activations and promotional events across the UK. We have created bespoke branded trucks for brands including McCain, Virgin, Aer Lingus and Fox. Our in-house team of graphic designers can also design the printed wrap for your truck and work with you to ensure that it represents your brand while creating a fun and unique way to promote your business. 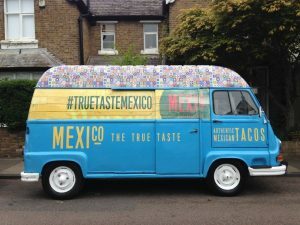 Empty Urban Food Fest street food trucks have been used for film sets, photo shoots, weddings, as props at parties and for promotional sampling, activations, advertising campaigns and company launches. We can also create bespoke flags, bunting, printed t-shirts, promotional items and other merchandise to go alongside your truck. 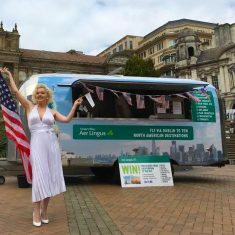 Our dedicated events team can help you create an entire marketing campaign around your branded truck so that it reaches a maximum target audience. This can include tours of the UK and Europe, pop-up events, product giveaway’s, social media campaigns and much much more. We have a range of beautiful vintage style trucks, horse boxes, silver airstreams and trailers in a variety of styles, sizes and colours that can help you create the look you need. For more information please email sophie@urbanfoodfest.com or call the Urban Food Fest events team on 020 7563 3021. Bring your Brand into the Spotlight With a Unique, Quirky and Eye-catching Vintage Truck.